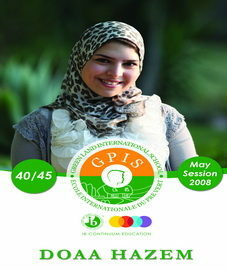 An IB education does not only give you a certificate, but a direction in life. 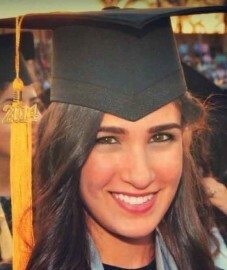 Receiving the IB Diploma from GPIS has allowed me to attend one of the best universities in Egypt, excel in my undergraduate studies, and get accepted into one of the top economics schools in the world. I believe that IB is the best choice for anyone who wishes to understand the world, be challenged, and enjoy learning while receiving an excellent education. The IB was a very rewarding experience that taught me the essential skills to overcome many challenges and succeed in university and life. 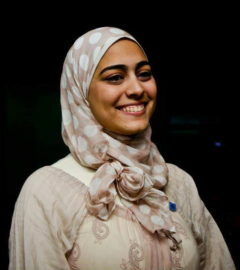 It helped me prosper in both my undergraduate at AUC and graduate studies at Columbia University. IB focuses on building a balanced learner and a persistent dedicated student with an international mindedness while keeping my own identity. The IB education challenged my thoughts, broadened my spectrum and pushed me to go beyond what I thought were my limits. It gave me the opportunity to become part of a worldwide community of diverse cultures that accepts, respects and appreciates differences and promotes achievement. I have taken many decisions in my life, some were right and some were wrong, but only one decision that I have taken a few years ago was a decision I have never regretted till now. It is doing the IB. Throughout my years in the IB, I discovered myself and saw the world for what it really was. Not only was I able to get out of my comfort zone, but I was able to believe in myself and take the sky as my limit. Despite the fact that there were hard times and unbearable stress, I learnt how to overcome obstacles and do my ultimate best. 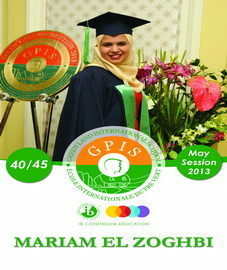 Completing the IB had been and will always be my number one on my “Achievements’ List”.  IB has shaped who I was, am, and will be. It is a major building block of my identity. I lived a learning experience that encouraged me to explore, question, and discover my outer and inner worlds. 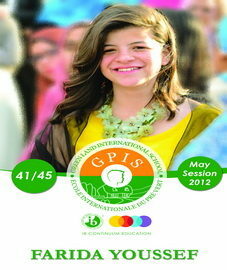 At GPIS, this has happened at the highest ranks of educational excellence. The highlight at GPIS, however, is not just the quality of the learning experience, but the unequaled amount of care, devotion, and efforts I received, which has challenged me to prove it being deserved. Wherever life takes me, I will always hold my head high as a GPIS IB Alumnus. Before starting the IB I felt extremely intimidated, I had heard countless complaints about the difficulties of it. But now, looking back at the IB years, I don’t feel it was really difficult as people always said. I believe, the key to passing the IB is Time Management. There were many weeks during those two years that felt the same. Deadlines seemed closer than they were a few days ago. I began to sacrifice my sleep for a few more minutes of studying. I spent countless nights trying to fix and perfect those minor details in my Extended Essay, and weeks where I wished it was the weekend when it was only Monday. Most IB tasks are manageable given enough effort. But since we had so much to complete in such a short time, I had no option but to learn to efficiently manage my time and prioritize the important tasks. Only then, I had more time for myself. During my IB years I also learnt that Procrastination was my strongest enemy. Learning to focus on one task at a time is important. I used to turn-off my Wi-Fi/phone whenever I was completing an assignment. Fewer distractions always meant fewer mistakes and higher efficiency for my work. From my experience, I strongly recommend that every student finds out what kind of learning style (i.e. visual or auditory) fits their learning as early as possible. Once you find out how you can maximize your learning, preparing for exams will be much more efficient and productive. For example, flowcharts and diagrams helped me understand how a cell divides by mitosis much better than listening to someone explaining it to me. But the reverse can be better for an auditory learner. Only when I found I was a visual learner, studying and preparing for exams became much easier. One last advice to all the coming IB students; Enjoy it! So that when someone asks you to share your experience with the IB, you will be able to talk about it, remember the sleepless nights where work has continued into the small hours of the morning, the infinite drafts for your Extended Essay, and most importantly be able to laugh them all off! 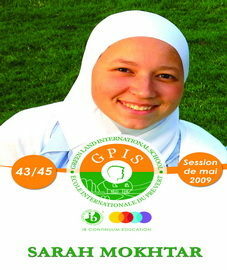 I had a wonderful time in GPIS, I always feel it is my second home. My experience at school was remarkable; the care, support and love I found in this place has left traces in my heart. The administration, teachers and colleagues were all helpful. I cared a lot to get high grades in IB, and worked hard to reach my goal. 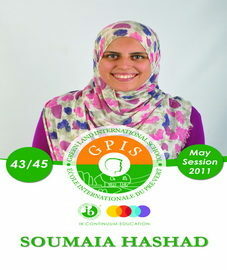 The experience of IB has taught me a lot of skills and added to my knowledge. It has also made me feel different and unique. Of course, I didn’t realize that at school; however, I have realized it at university. 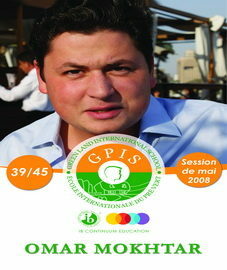 Moreover, IB has helped me finish university in three years instead of four. Finally, I can say that I am lucky to graduate from this school which I have learned a lot from, I am lucky to have met those knowledgeable teachers, I am lucky to have found support and care from the administration, and I am lucky to have met the most amazing respectful and supportive friends. 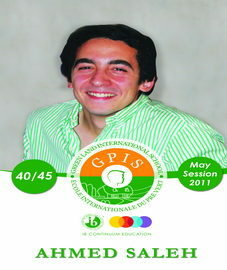 It is known that the quality of Education in IB surpasses any other systems. What i like about IB is that it prepares you not just for college but for life in general. It makes you aware of your community through the CAS program and develops the mind through the TOK making you a lifelong learner. For me the IB experience wasn’t only about academic learning, it is all about acquiring methods of critical thinking. I started perceiving the world differently and my scope of comprehension extended. No matter what subjects’ one chooses there is always the benefit of connecting gained knowledge to other aspects in life and thinking “outside the box”. It requires lots of hard work and effort but the results are guaranteed and the taste of success was my best reward. My IB Story isn’t really about me. (Misleading use of “my”). It’s about the people that made it possible for me to come out unscathed. One day, all I will remember will be the family, friends and teachers that reassured me, pushed me, believed in me more than I did or deserved. Two years, preceded by ten, of security – a hug-like existence and (cliché alert) memories that I like to describe as exquisite.